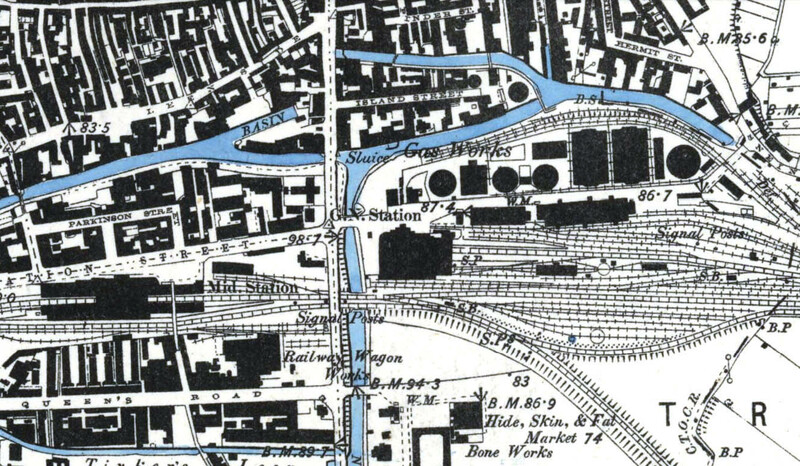 1885 6-inch OS map shows the proximity of the Midland station seen on the left to the GNR's London Road station in the centre. At this time the High Level station and the chord linking the GNR with the Great Central, had not been built. The GNR's large corn warehouse is seen to the east of London Road station. The rail-served Eastcroft Gasworks is seen between the station and the Poplar arm of the Nottingham Canal.